In need of Honda battery service? Rely on the Westbrook Honda Service Department for all your car battery needs. We can easily help you determine when it’s time to replace your battery, as well as install a new one so you can get back on the Branford roads as soon (and as safety) as possible. Learn more about Honda battery warranty coverage and reliability before making your next service appointment with our trained Honda technicians! Why Service Your Vehicle’s Battery at Westbrook Honda? Warranty Coverage – A Honda Genuine Battery purchased from us is covered for 100 months. For the first 36 months, we’ll replace a defective battery with no cost for the battery, labor, or installation. For the remaining 64 months, you will receive a credit toward the purchase of a new battery according to its age and based on the then-current retail price. 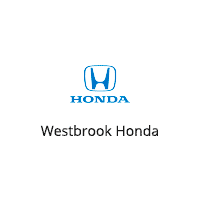 Value and Trust – Westbrook Honda strives to offer the same things people choose a Honda vehicle for, including reliability, dependability, and value. The Parts and Service Department is committed to earning your loyalty every time you visit and helping you prolong the life of your vehicle. Honda Professionals – Our Parts and Service personnel are trained professionals and are continually provided leading-edge client service, process, and technical training. Combine that with up-to-date technical resources, specialized processes, and specific tools for your exact model and year, and you’ve got the right people to help make maintaining your Honda as satisfying as owning it. Whether you’re in need of a new battery or simply need routine maintenance, we encourage you to contact our service department for further information. We always have Honda service specials on hand to make the experience that much easier!